/ About Us / Our Team / Physicians / Mark H. Knapp, M.D. A graduate of the University of Cincinnati College of Medicine, Dr. Knapp completed his internship and residency in Internal Medicine at St. Vincent Hospital in Indianapolis, and his fellowship in Hematology/Oncology at the University of Cincinnati School of Medicine. Dr. Knapp has an interest in research and serves as primary investigator on a number of studies at The Zangmeister Center. He also has served as a consultant to the International Oncology Network Research Advisory Board and is currently a consultant to the Clinical Research Committee of Columbus NCI Community Oncology Research Program. He is board certified by the American Board of Internal Medicine, American Board of Medical Oncology and American Board of Hematology. 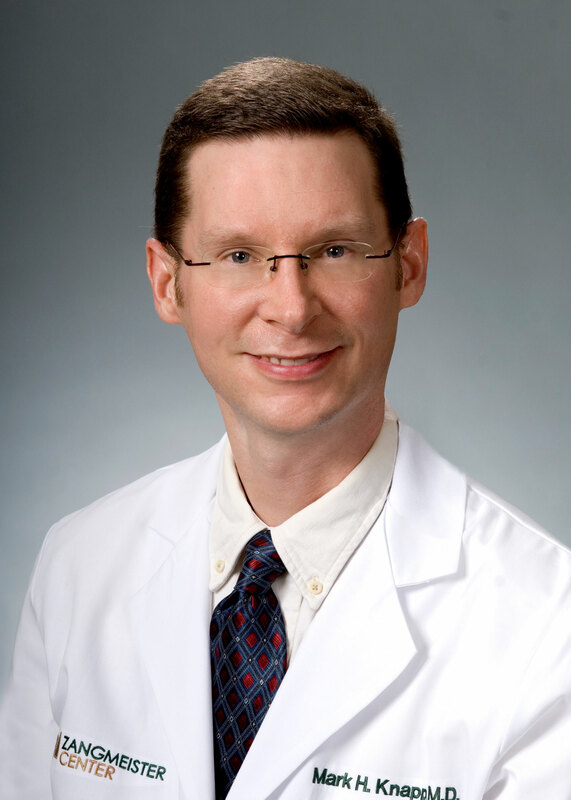 Dr. Knapp is a member of the American Society of Hematology, American Society of Clinical Oncology, Community Oncology Alliance, Columbus Medical Association, Ohio State Medical Association and the Ohio Hematology Oncology Society.